Our parser’s goal is to replace MAGIC1 and MAGIC2 with values returned by the functions from the sketch. It’s best to begin from the magic! Serial is used for checking, if the values are according to our expectations and there isn’t any impact on the barometer’s operation. bmp085_read_temperature_and_pressure it’s a BMP085 handling function, taken from a finnish blog. The whole code is available for download here. It’s a sketch powering our server plus HTML file and graphics. 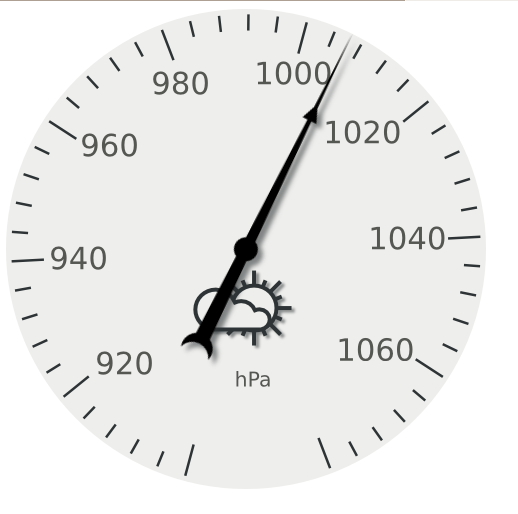 The dial, graphics and HTML/JS code was made bySprae. The code is beta version :) It means it worked for me, during the tests I performed and maybe there’s some bugs (and probably that’s true) I haven’t ever imagined :) The code needs to be rearranged, e.g. functions related to buffered output should be moved to Webdiuno code. I’m planning to make it and submit all the changes to Webduino developers. Maybe some of them will be included in the library. I’m curious of your opinion. Does something like P4A have any sense and could it be useful?